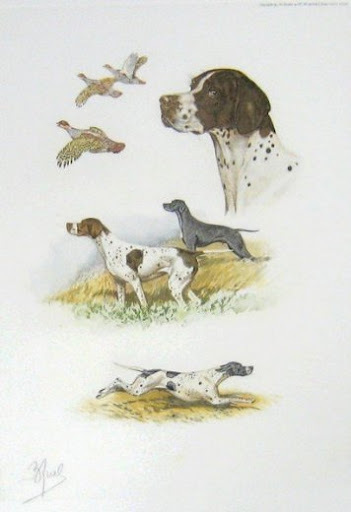 Here are some some great prints from the past! 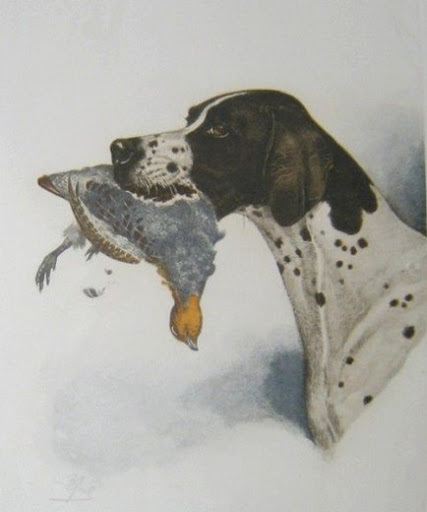 My friend and hunting companion Marc Patoile gave me a print from France by Boris Riab with the Pointers and Gray Partridge. It seems like there are less prints on the cover of magazines today! Which is a shame! 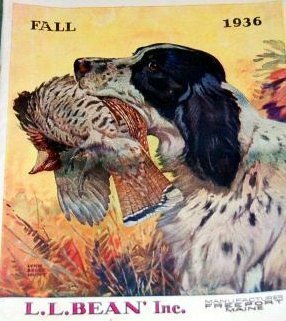 I truly enjoy bird dog and sporting art…it reminds me of being there in the field…watching the dogs float through the cover.